Newport Solar owner and founder Doug Sabetti and his wife don’t pay for their electricity… at their house nor at “Doug’s Yurt”. At their home in Newport, a solar array provides 100% of their electricity. This house is connected to the grid; when they over-produce electricity it goes out onto the grid and their meter counts down, creating a credit. At night they import power from the grid and their meter counts up. Overall, they produce more than they consume; their electric bill is $0.00 per month. Now, isn’t that cool; wouldn’t we all like to file away our monthly invoice without sending any money to the utility? Did you know that some people don’t even have an account with the utility? 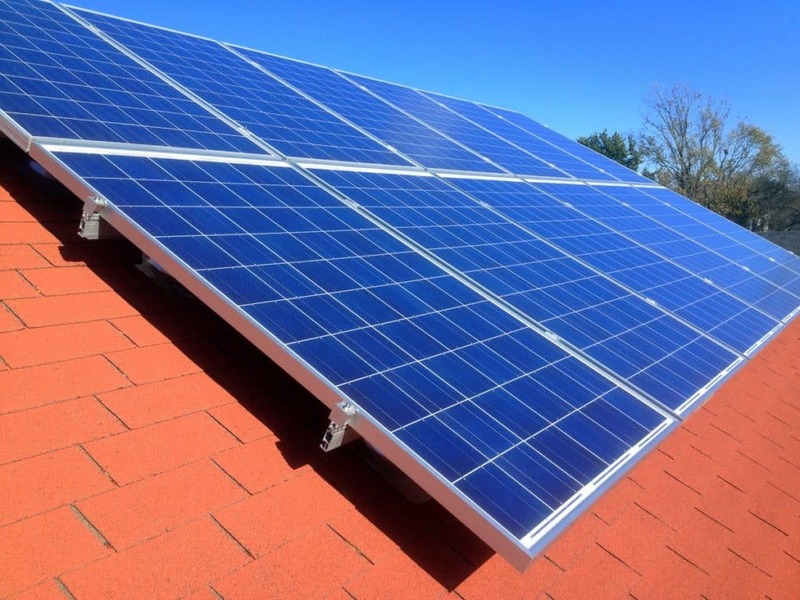 Some solar homes don’t buy and sell electricity to the utility in a Net-Metering agreement; they produce and store their electricity on-site. These homes are considered “Off-Grid”. 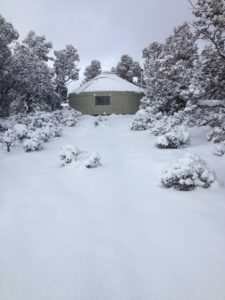 In rural southeast Utah, Doug and his wife have a 500 square foot Yurt powered entirely by the sun. There are no electric poles or power lines running to or from the building. 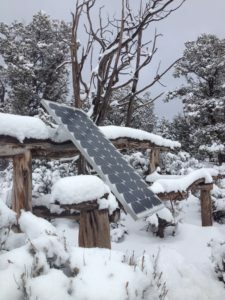 The solar panels are connected to batteries and a load center that runs electricity to lights and power outlets inside the yurt. During the day the solar panels charge the batteries and power appliances directly; at night the batteries output stored energy to run lights and appliances. re conscious about energy use at the Yurt. They do not have the utility there to “back them up” if they use too much power from the batteries. Use a wood fired stove for cooking and heating from natural deadfall. They find living harmoniously with the natural cycle of things easy and pleasant.